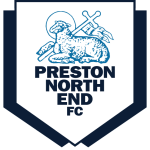 Preston North End vs Norwich predictions ahead of this Championship clash on Wednesday night. Can the Canaries continue to lead the way at the top of the table? Read on for our match preview and free betting tips. League leaders Norwich are back on the trail for a Premier League place, after another high scoring win at the weekend. They won 3-0 against Ipswich, a comfortable win against the bottom team, and their bitter rivals. 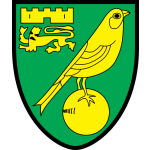 They got the chance to laud over their East Anglian rivals, with the Tractor Boys bound for League One, while Norwich set their sights on the top flight. They now have a five-point lead over third, and they come into midweek aiming to add to that by seeing off Preston. The hosts are in form themselves, they’ve gone five games without a defeat, pushing them towards the top half. The weekend saw them edge out Bolton with a 2-1 away win, now they’re hoping to secure the points at home to the league’s frontrunners. Beating one of the league’s worst sides is hardly an achievement, but they are looking much more like the side which challenged for the top six last term. Can manager Alex Neil continue that climb when he clashes with his former side this weekend? Neil is the last man to lead Norwich to the top flight, which he managed a few seasons after Paul Lambert. Lambert was the Canaries opposition at the weekend, getting sent to the stands in Ipswich’s defeat. It’s certainly been an interesting week for the visitors, who are now two points clear at the summit, with 15 games to go. We’re starting to gear up for the home stretch in the Championship and Norwich are on the right track. But, can Neil and co. cause problems for the Canaries? Preston are in form, thanks to some great displays in front of goal. They’ve found the net in eight of their last nine matches. The Deepdale side have a real goal threat, averaging almost two goals per game at home of late. They come into this clash looking to keep up their scoring streak against the leaders, with 80% of their home games finishing with both teams finding the back of the net. Norwich have seen both teams score in 73% of their trips, keeping a clean sheet in just 27% of their away matches. They have been high scoring of late, with their last four matches all seeing over 2.5 goals scored. The Canaries have hit 11 strikes in that time, and with Preston impressing going forward we can see another entertaining match. We’re going with over 2.5 goals as our tip here, while we expect the visitors to shade this one. Norwich haven’t completed a league double over Preston since the 2002-03 season. Preston haven’t drawn four consecutive home league matches since October 2015 under Simon Grayson. Norwich’s current 13-game unbeaten away league run is their longest since joining the Football League in the 1920-21 season. Preston haven’t failed to score in consecutive home Championship matches since November 2017. Norwich have already scored more away Championship goals during 2018-19 (26) than they managed in the entirety of last season (24).